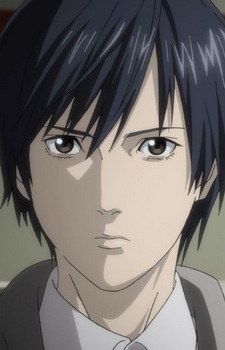 Hiro Shishigami is a high-school student and the main antagonist of Inuyashiki. Hiro lived with his mother and is currently wanted as the most dangerous serial killer currently alive. Not much else is known about Hiro. After being infused with alien cyborg technology, he begins to use his newfound modifications to help himself feel emotion, by way of committing serial murder. He begins by causing traffic accidents and general disturbances before quickly progressing to committing serial murder, often of random families. He is eventually identified and pursued by the police after being turned in by Ichirou Inuyashiki and his former best friend, Naoyuki Andou, and is currently on the run. Shishigami has the same powers as Ichirou Inuyashiki, namely flight, advanced combat abilities, advanced healing abilities, and the ability to seamlessly communicate with any electronic device, as well as having technology seamlessly integrated into his body. However, unlike Inuyashiki, Shishigami instead uses his powers to commit crimes, usually murder and theft. This predisposition to violence might be a result of being bullied or living in less-than ideal conditions with only his mother, but has not been revealed yet. Shishigami is fond of imitating guns to kill his victims.